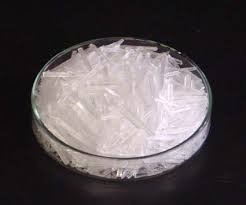 As a quality driven enterprise, we are engaged in providing a high quality range of Menthol Bold Crystals. We are Exporters and wholesale suppliers of Menthol Crystals ( BP, USP, IP ) , Menthol powder, Mint oils, Mint products and natural Essential oils . We offer a range of mint products for the pharmaceutical, cosmetic and consumer product industries that are sourced from the pioneers of the mint products in India. Menthol is an organic compound naturally occurring in mint plants. It is also synthetically manufactured. Menthol is widely used in a number of products and features certain therapeutic qualities. It was first isolated from peppermint oil in 1771 in the West, but it may have been in use in Japan for much longer. Application: Toothpaste,Pharmaceuticals (IP, BP, USP Std. ), Balms, Tobacco Products, Confectionery. The Menthol Bold Crystal is a colorless hexagonal crystal. It is used as a raw material in the manufacture of medicines, food, flavor and daily-use industrial products. It is transparent, dry and has the refreshing odor of the natural mint. 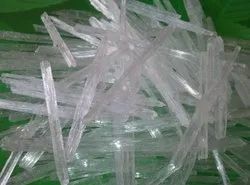 With years of experience in this field we are able to offer quality Menthol Crystals with the help of supreme quality ingredients. This is used for making peppermint products or any other natural oil. The Menthol Crystals are solid in room temperature and melts in little high temperature.